Dr. Sher did a thorough job addressing my dry eye bad vision needs. She recommended daily contacts with multi-focal and I love them!!! 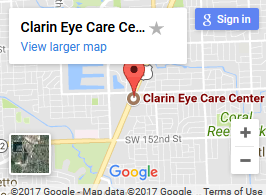 I was thinking about corrective surgery but was leery of it and now I’m glad I went to Clarin Eye Center to find an alternative that works great!